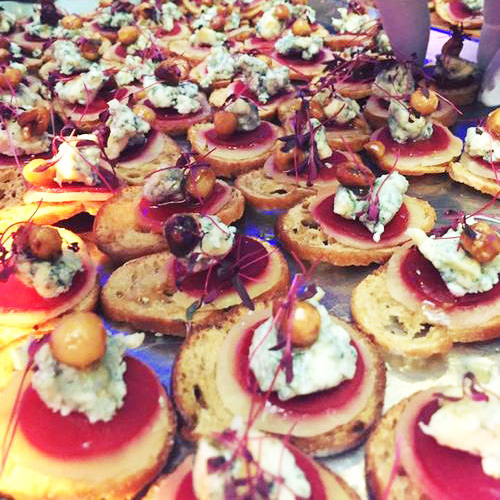 Simon Boyle regularly caters for events of all sizes, from exclusive private dining to large-scale events and awards ceremonies. Simon's culinary credentials make him an asset to events of all shapes and sizes. Having trained at the Savoy Hotel and later becoming part of the Michelin-star winning team at Chewton Glen, Simon has a strong background in high-end cuisine. He is equally comfortable in more challenging environments, having worked aboard cruise ships and luxury vessels, shopping for produce in local markets along the way. 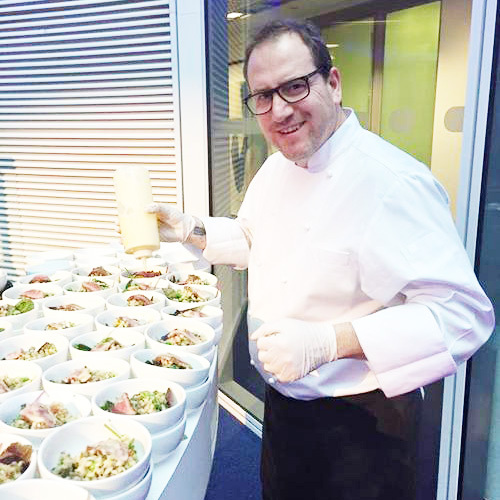 Nowadays, Simon and his team regularly cater for everything from small events to much larger occasions, charity dinners and awards ceremonies, such as the annual Social Enterprise UK Awards, serving 450 people. Simon also makes regular appearances at live cooking demonstrations at events and at team-building exercises. Get in touch with Simon's team if you'd like to book him for an event.